Back on the market after new roof and gutters (2017)! Original wood floors throughout with lots of windows for natural light. Living room features a faux-brick fireplace with stained glass windows on both sides. The newly renovated kitchen features granite countertops, gas range, refrigerator, and microwave (2017), dishwasher (2016), and maple cabinets offering plenty of storage. The kitchen stairs lead outside to a flat back yard or down to the newly painted basement. The bathroom has retained its classic, South City style with an updated vanity, sink, and faucet (2015). With new paint and light fixtures throughout (2017), a water line replacement (2016), and a new sump pump (2015), you can have the conveniences of a modern home with the looks of a classic in the heart of a beautiful neighborhood. 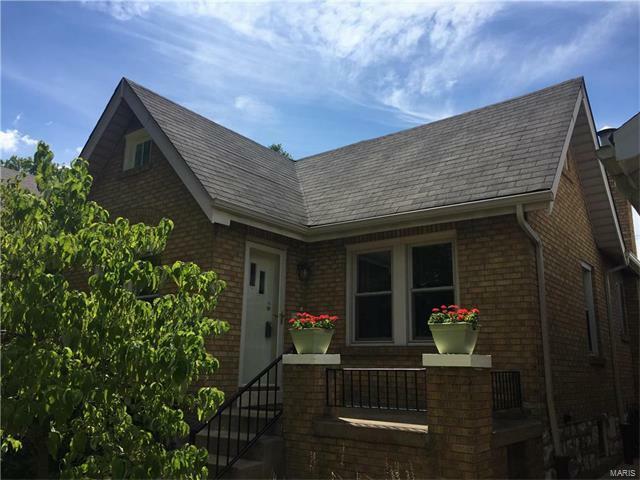 Located close to shopping and within walking distance to Tilles Park. Home has passed city occupancy inspection. Listing agent is an owner. From I-44, head South on Hampton Ave. to Pernod Ave. Make a left. 5452 Pernod will be on your right.